Colloquially mezcal means anything distilled from the agave plant. This has been going on in Mexico since at least the Spanish conquest, potentially earlier. In this very general sense, mezcal is like the term “wine,” because anything fermented from grapes is considered wine. In most states in Mexico someone is making a spirit from the agave plant and most of them call it mezcal. Legally mezcal has a different definition. 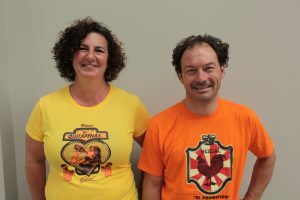 It can only be made in nine states in Mexico and has to be certified by the semi-governmental body that has a monopoly over the term when it’s used on labels and certified as legal mezcal. 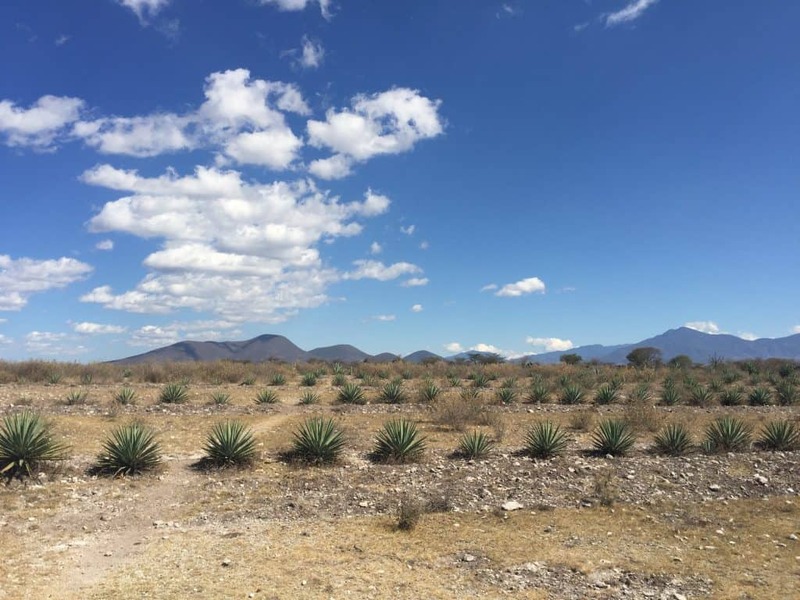 The geography of mezcal changes regularly so this is a highly elastic and recent definition. Everyone fully expects it to welcome in many new states in the coming years. Tequila is a type of mezcal with an extremely well defined sense of itself. It developed in the 19th Century in Western Mexico, in and around Jalisco, achieved some prominence and name recognition by the 20th Century but really developed into an economic powerhouse in the 70’s and 80’s when the legal definition of tequila became even more restrictive in some senses– it can only be made from a single type of agave, in five Mexican states, and according to a certain methodology. Sadly the definition of tequila has also been watered down in recent history so that bottles of so called “gold” tequila really may contain very little agave, lots of spirit from sugar cane, and some yummy corn syrup to give it that characteristic yellow taint. Today tequila is a massive industry in Mexico and margaritas are the world’s best selling cocktail – obviously it has been a very successful product. What makes mezcal different from every other spirit in the world? It’s the agave. No other spirit has the same base fruit and there’s nothing like agave in the world. It’s a true dinosaur in horticultural terms, totally different from nearly everything else humans cultivate, and truly extraordinary because of this. Consider this, if you want to make whiskey you get some grain, soak it, ferment, it, distill it. If you want to make more whiskey, you get more grain. You can grow multiple crops of grain annually. It grows in a wide variety of places and it has a very predictable growth cycle. The same story is true of whatever else you like to drink; corn = bourbon, grapes = cognac, grappa, and many other spirits, sugar cane = aguardiente, rum, etc, and fruits are the basis of eau de vie. All of the fruits mentioned above produce fruit annually and you can either, like grain, grow it every year, or like grapes, get a new crop every year. Agaves, they take a minimum of four years to mature, usually more in the range of 8-10 years. And once you harvest them, you kill them. Yup, you heard me right. Once you spend all that time raising agave and you harvest it, you have to start all over again and spend another decade before a plant is ready for harvest. If you’re smart you have crops scheduled for maturity so that you know that you’ll be able to make mezcal consistently years down the road. Of course, you only know that you’ll be able to make as much as you plant now so if demand increases you may not be able to deal with it. Or, if no one wants mezcal in a decade, you may have a lot of bottles eating up space and lost revenue. If that wasn’t tough, agaves also have rather unique methods of reproduction which have made it difficult to grow them from seed with the regularity of other fruits. That’s changing with an increased amount of experience and research but most agaves still aren’t grown in a straightforward seeding method. What’s the deal with the worm in the bottle? 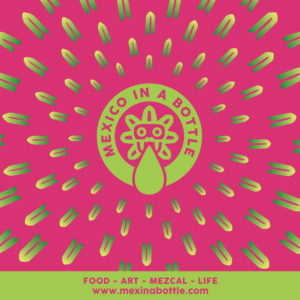 While worms do live in agave roots and are an intrinsic part of some Mexican cuisines, the worm in the agave bottle can be dated back to a marketing campaign in the post-WWII era. 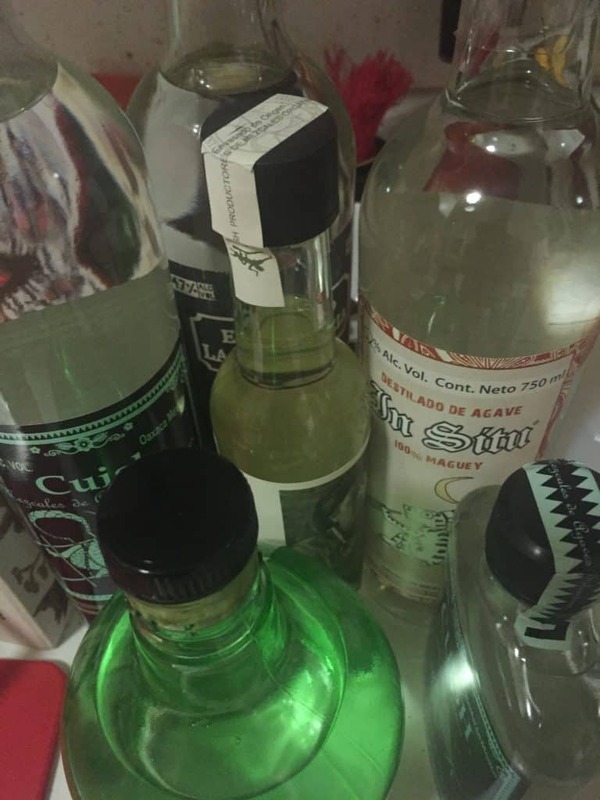 Someone had the brilliant idea of putting a worm in a bottle to distinguish their mezcal on the liquor store shelf, and that little marketing twist came to define mezcal for North Amercans. Worms aren’t necessarily terrible, some mezcals with worms have a wonderfully savory flavor, but they aren’t intrinsic to mezcal. Nor are they hallucinogenic. So get that idea out of your head as well. Emptying the underground oven where agave hearts are roasted. Is smoke part of mezcal? 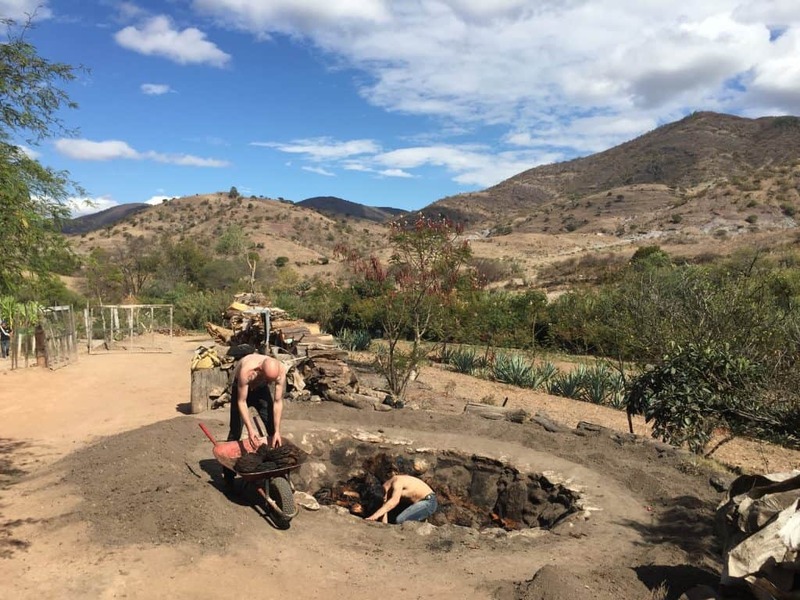 Yes, to a degree smoke is an inherent part of mezcal because of the way mezcal is traditionally made. The basic process remains the same today as it was hundreds of years ago which is also part of its attraction. Once agave are harvested they are roasted underground with hot coals where they come into direct contact with smoke. And that’s why mezcal has a smoky, or roasted, flavor. However, mezcals don’t have to be really smoky. Actually they shouldn’t overpower you with smoke. Drinking mezcal isn’t a wrestling match. Mezcal distillers tend to look down on overly smoky mezcals because that could be a sign of a problem with how it was made. Some North American brands think that a smoky flavor is what sells their bottles, just don’t let it get in the way of tasting a good mezcal. What are the different types of mezcal? The main ways of distinguishing mezcals are by the type of agave in them and where they’re from. 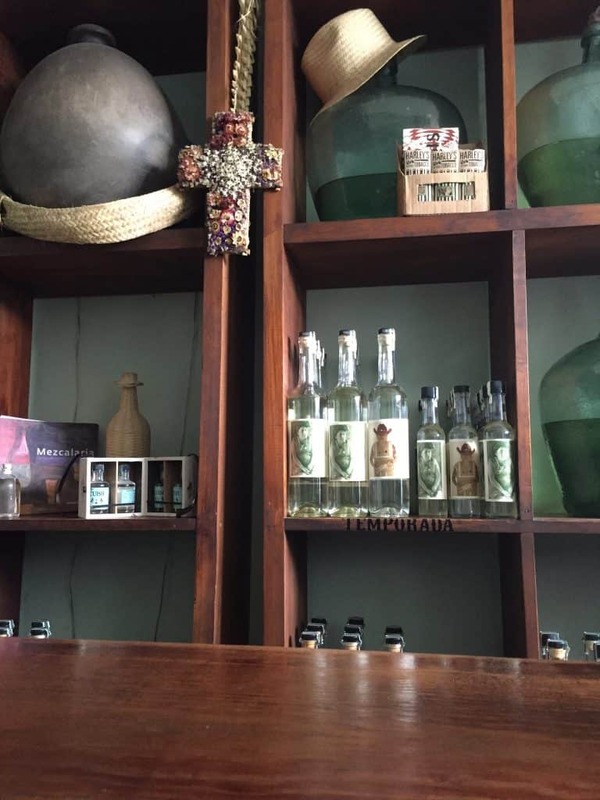 Oaxaca produces most mezcal and most of that is made from a single agave called espadín. So, most of what you’ll find will be Oaxacan espadín. 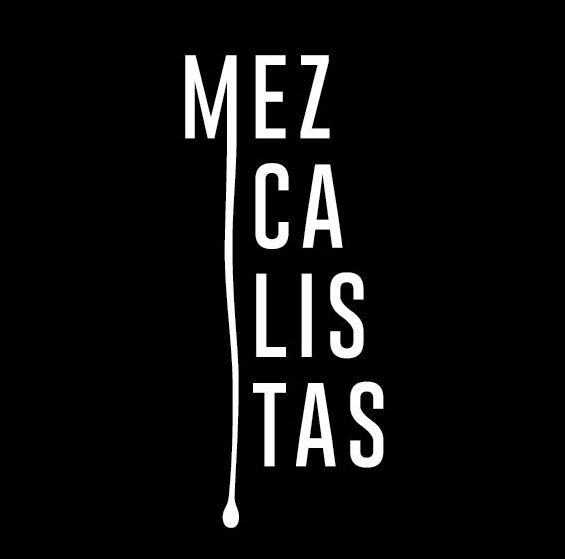 Just to add a bit of complexity to the topic, there are a few other names that describe mezcals from a particular area. Like tequila, raicilla is a mezcal made in the Mexican state of Jalisco. Then there is Bacanora from Sonora and Sotol from Chihuahua. The latter isn’t actually made from an agave plant but it’s made the same way as other mezcals and tastes similar, hence the categorical fuzziness. Why is mezcal so hot right now? It’s new: While you’ve been able to find mezcal for a while it really has only been widely available in North America for the past decade. It’s strange and distinct: It doesn’t quite taste like any other spirit which means that you can sit around playing the adjective game for hours or, if you’re a bartender, you can base a cocktail on mezcal and deploy that depth and variety of flavor in your favor. People love the story behind it: Much mezcal is still hand made in tiny distilleries with dirt floors. The people who make it learned how from their fathers who learned it from their fathers and so on. The entire process remains deeply ingrained in traditional Mexican cultures and varies by location. It’s the most artisanal product in the world: It resonates with our obsession that everything be artisanaly produced in a very traditional manner. Mezcal doesn’t get much more artisanal than pretty much anything else out there. 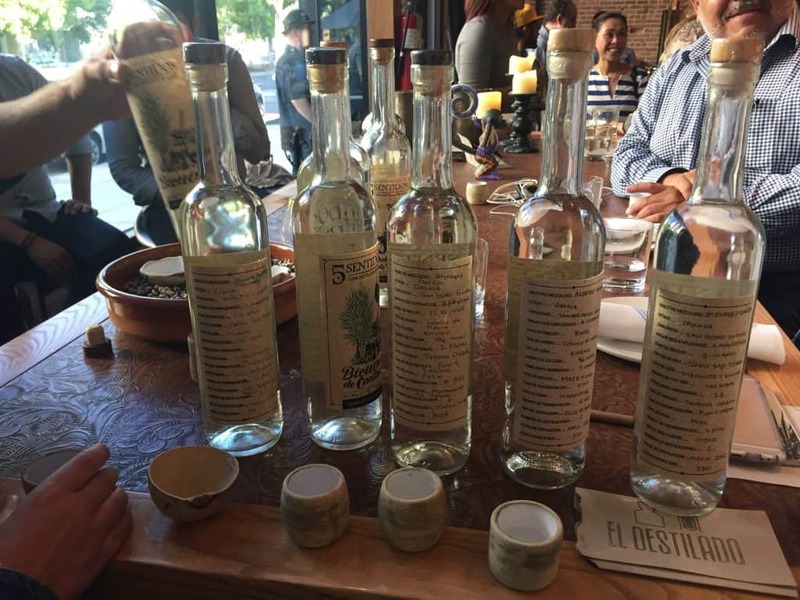 Where can I find and taste good mezcal? Find a local mezcal bar and order a flight. See if they’ll give you quarter ounce pours because mezcal is usually 45-50% alcohol and you only need that much to get a good sense of whether you like something. And, drinking different mezcals (or anything for that matter) side-by-side will give you an instant comparative sense of your preference. Once you find something you like, pursue mezcals by the same brand or distiller. We have a map of great places to drink mezcal in North America that is always expanding, faster than we can keep up, because it really is a hot item right now.